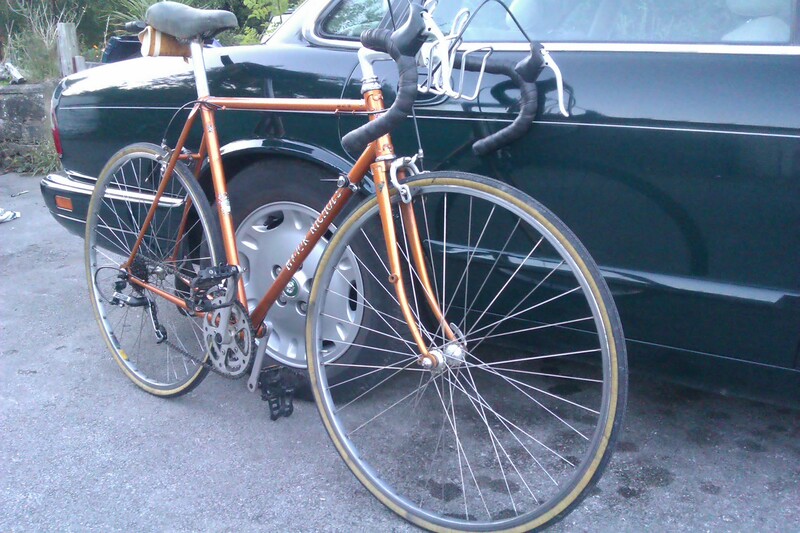 This machine has been debated as we have never seen a MN with these Capella lugs before. They were used on earlier Claude Butler frames and were recognised as such by Robin Walker. We did a bit of extra research and found they were used on high end Raleigh and Carlton frames and also other custom builds until the mid 1970’s, so they were quite fashionable at the time. 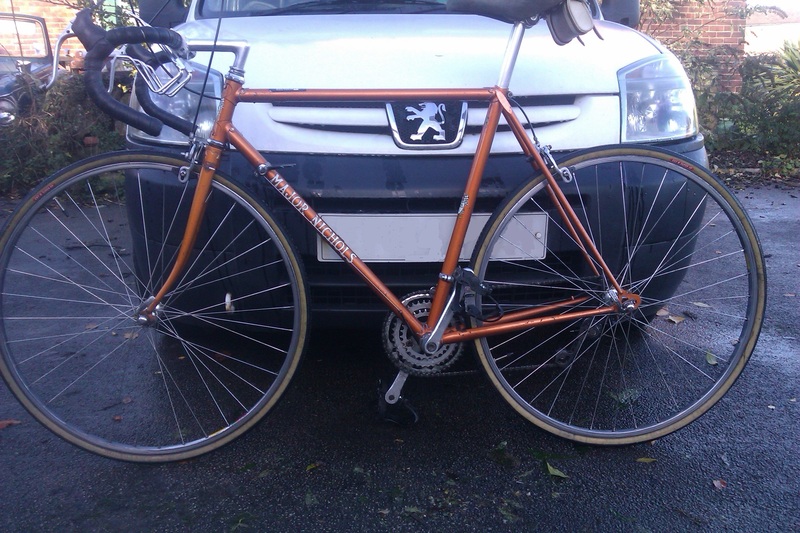 Fortunately Felix saw a frame with drilled lugs in the shop in the mid 70’s and the original owner confirms the purchase. The fact that the head lugs were modified by the removal of the spearpoints we found very unusual and that didn’t help either! 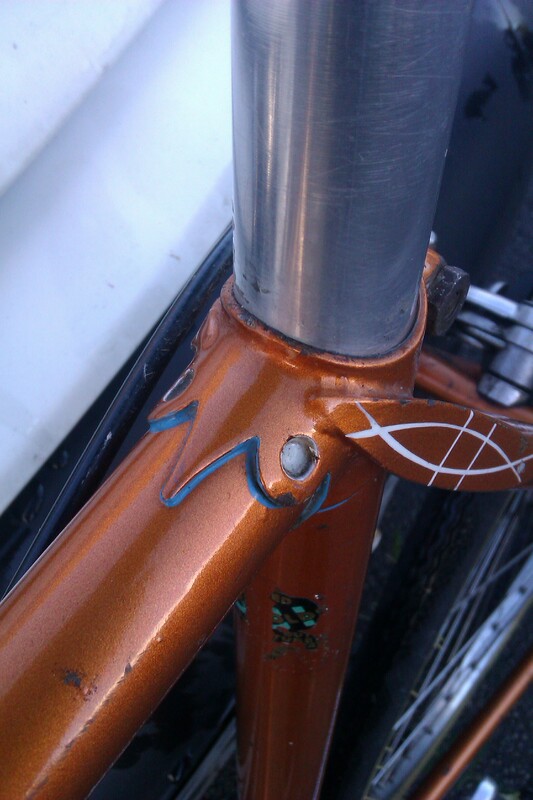 Cappella lugs with the head tube pair modified by the removal of the spearpoints to the front face. The fork crown is a plain flat top Vagner DP. 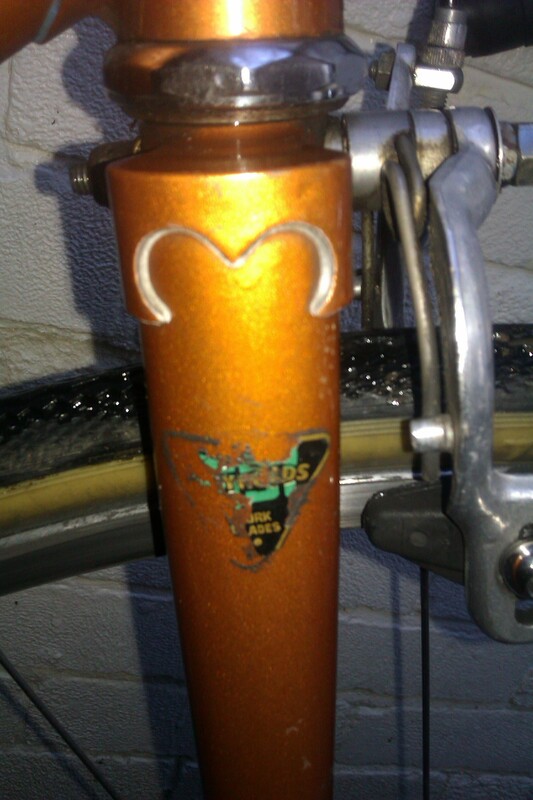 The tubing is Reynolds 531 DB and the fork blade decals confirm the build date as between ‘73 and ’78. The fork shape with not much offset, the stance, form and geometry combined with the faired in seatstay tops are typical of his clubman type frames and together with straight unreinforced seat and straight chainstay bridges and generic dropouts suggest a nice stock frame rather than a custom build. The frame is lug-lined in white and pale blue with the double fishtail motif in white and white infilling to drillings. The offside fork blade has a light boss. 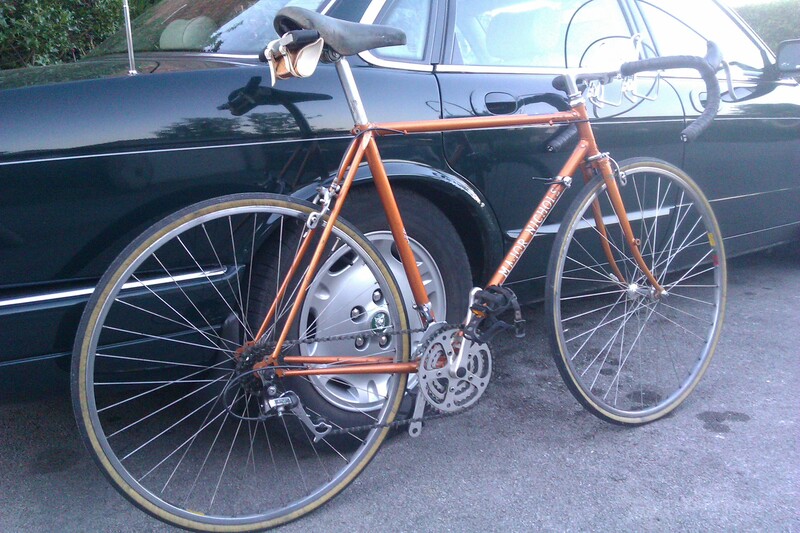 There are derailleur cable guides and a stop for front and rear mechanisms but no bosses. 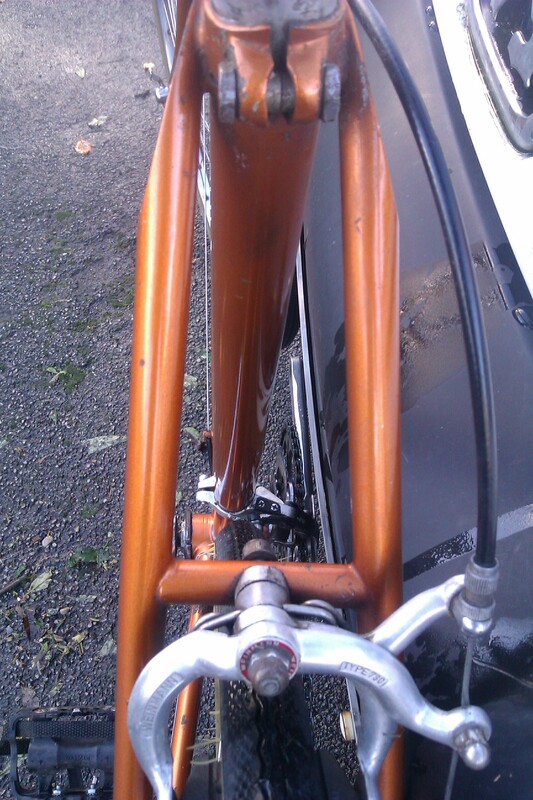 There are cable guides for the rear brake on the top tube O/S at 4 o’clock. 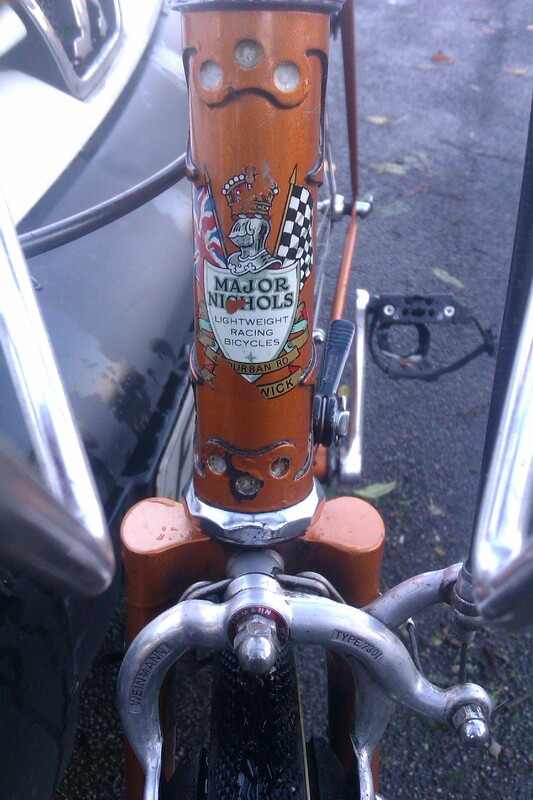 The Major Nichols original finish is metallic orange with Smethwick head and seat tube transfers and Major Nichols gothic script is in a good shape. 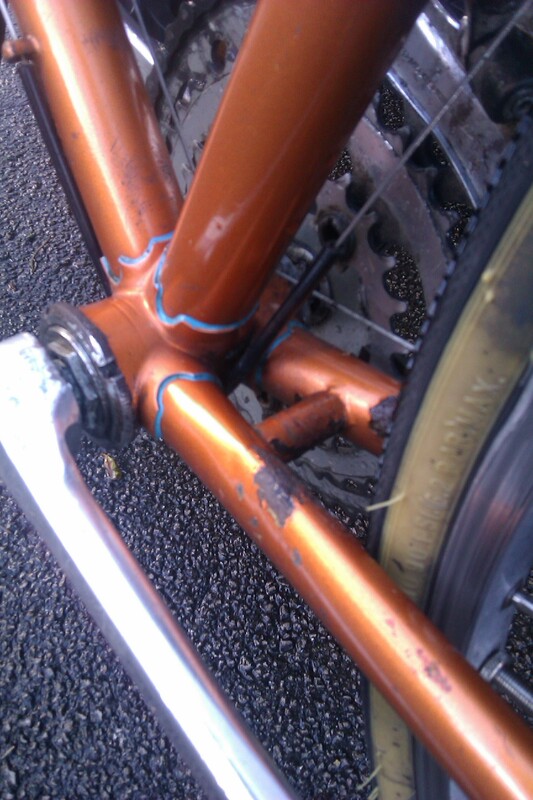 The frame could benefit from some careful work to control rust and a touch up on the chainstays where there is a little corrosion and elsewhere for purely cosmetic reasons. Bars, stem, seatpost and saddle are Cinelli. Derailleurs are front; Exage 500LX and rear; Shimano Altus A10. The brake levers are Shimano Dura-Ace. 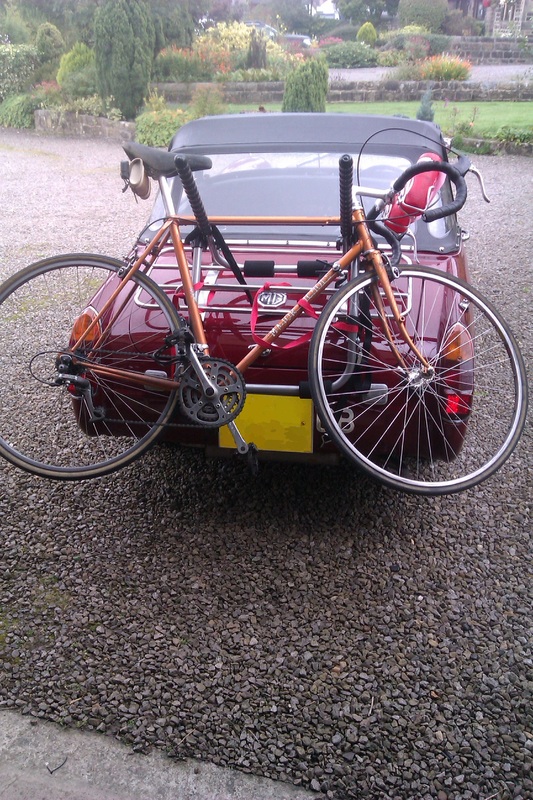 The wheels are Miche on Mavic rims. Some temporary Wellgo modern pedals. 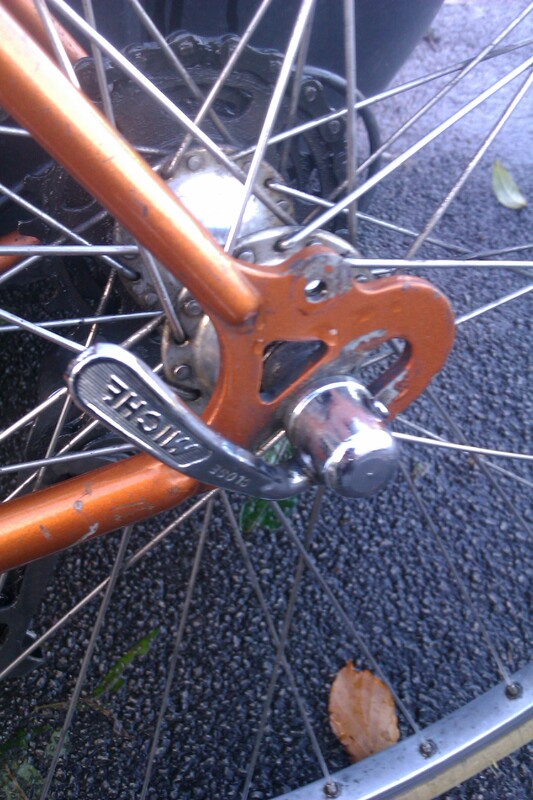 A Stronglight Chainset and Weinmann 730 brakes.